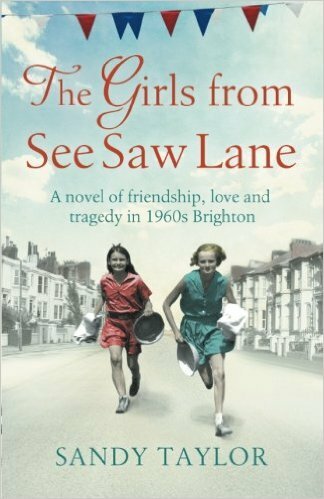 The Girls from See Saw Lane by Sandy Taylor is a novel set in 1960 England. It is a coming of age novel between two best friends - Mary Pickles and Dottie Perks. The two have been close since they were young children. As they graduate from high school, they enter the working world. Dottie dreams of staying home and raising a family, while Mary dreams of pursuing her dreams of art in Paris. Written in the first person narrative of Dottie and diary entries by Mary, I could easily understand each individual's motivations and aspirations. As the two women meet their young men, their friendship is shaken. One mistake leads to devastating results. Can the friendship endure? Heartbreaking yet there is redemption and understanding. It is a story that tested my emotions with totally believable characters that lit up the pages and defines what true friendship really is! I loved this story and how it ended. One of my very favourite books!